Bark’s affordable, award-winning service proactively monitors text messages, YouTube, emails, and 24+ different social networks for potential safety concerns, so busy parents can rest easier knowing their kids are better protected from digital dangers. Wondering how it works? 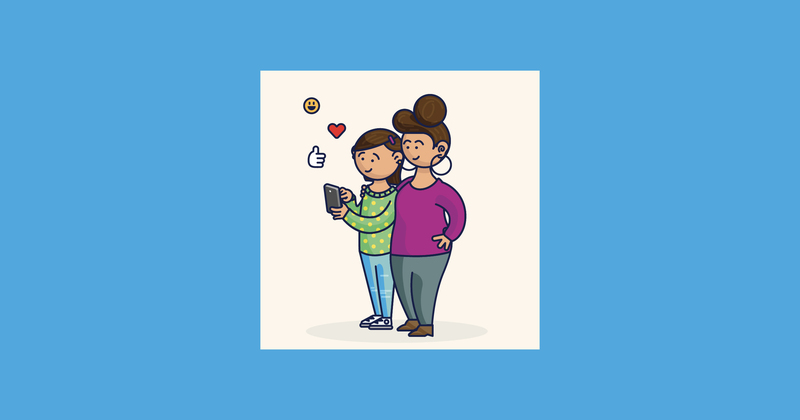 This new video shows why monitoring is so important, and how Bark helps families talk about the important issues kids face growing up in a digital world. When kids get their first phone, they’re getting the keys to a larger world. But technology comes with risks. And the internet can be a minefield of potential issues, like cyberbullying or online predators. So how do you keep your children safe? Grab their phone randomly and read their texts? Spends hours every week trying to keep up with their online activities? Do nothing and hope for the best? Bark can help. Bark is an award-winning service that analyzes your child’s text messages, emails, and social media, and sends alerts when potentially problematic issues arise. We’ll also include recommended actions to help you handle the situation effectively. Here’s how it works: Bark uses advanced technology that keeps up with the evolution of language and recognizes possible dangers. What kind of dangers? Well, anything from bullying, violence, and adult content to depression, self-harm, and suicidal ideation. Often the only signs of trouble are hidden deep within a tween or teen’s phone. The majority of the time, parents aren’t even aware there’s an issue until Bark sends them a notification. Think of it this way — when you give your kid a bike, you also give them a helmet. When you give your kid a phone, make sure they have Bark. Nothing can substitute thoughtful parenting or replace ongoing conversations about digital safety. But Bark helps parents and kids work together, build trust, and even strengthen relationships. Get started with Bark, an essential tool for parenting in a digital age. Sign up for a free, one-week trial of Bark and start monitoring today.